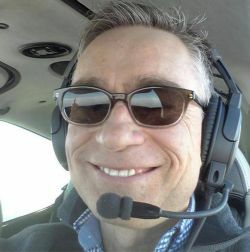 AirplaneGeeks 394 Plane & Pilot Magazine - Airplane Geeks Podcast - The weekly audio podcast that explores and expands your passion for aviation. We talk with the Editor-in-Chief of Plane & Pilot about changes to the magazine, drones interfering with airliners, the impact of lower airline fees on customers, an Airbus assembled in the USA, and blocking flight tracking. Robert Goyer is VP, Editor-in-Chief, at Plane & Pilot magazine. He’s an award winning aviation editor, journalist and photographer. For more than two decades he’s been documenting the world of personal aviation in words and photography. We talk with Robert about changes to the magazine and website since its purchase by Madavor Media in 2015. That includes expanding the target audience to include serious transportation pilots, bringing in new writers and rotating columnists, a focus on photography, and a weekly email newsletter. Robert tells us, “I started flying before I remember flying, heading up with my dad in a little red-and-white Aeronca Champ from a cozy little grass strip in New England, and after a few years we graduated to a beautiful Cessna 195 that our family rebuilt together in the big barn out back. Find Plane & Pilot online at their website, on Twitter, and on Facebook. The pilot of a Lufthansa A380 at 5,000 feet and 14 miles from Los Angeles International Airport says a drone passed close to the plane. The FAA is reported to say the drone flew 200 over the Airbus. Airbus plants seeds of a new aerospace cluster in the U.S.
An A321 destined for JetBlue should be making its maiden flight this week. The significant aspect is that the airplane is American-made at the new $600 million Airbus final-assembly plant in Mobile, Alabama. Most are describing this as Airbus’ beachhead in the U.S.Five other A321s are in final assembly for American Airlines. The FAA has a program to block certain information about aircraft flying in U.S. national airspace, but it relies on a process where those providing flight-tracking services agree to block flight information when requested by operators. In return, the flight-tracking companies get access to the FAA’s ASDI data feed. But It’s not difficult receive broadcasts from mode-S transponders and ADS-B out transmitters. Spartan Executive at Sun ‘n Fun 2006 by Ahunt – Own work, Public Domain. David was given the opportunity to help 8th grader Jonah from Northern California with his paper on aircraft of World War II. Jonah mentioned attending Oshkosh and noted that his favorite airplane was the Spartan Executive. 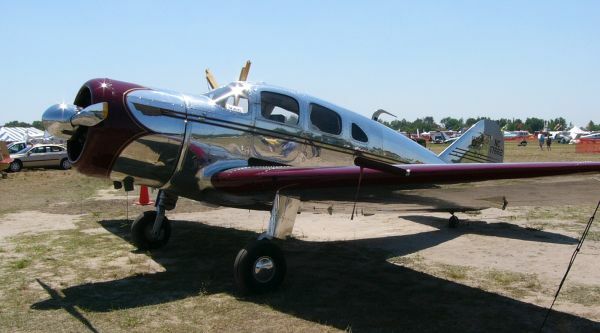 In David’s opinion, Jonah has class and good taste so the Spartan Executive is the airplane of the week. Original post: Airplane Geeks #394. This entry was posted in Episodes and tagged Airbus, Airline Fees, flight tracking, Lufthansa on March 23, 2016 by maxflight. Just catching up and listening to the story about the Lufthansa A380 and the drone. It makes me wonder if the A380 was at the wrong altitude and that’s the reason why they’re so specific about the altitude of the drone. My friend is a tower supervisor at a local, large, we’ll know class B, and he says a lot of these “drone sightings” coincide with pilot deviations. He theorizes that drone are the new “resolution advisory excuse” as to why you’re not at your assigned altitude. Just a thought.